The lovely Kirsten Butler, aka the Little Wedding Helper held a brilliant launch evening at the Riverstation on Wednesday and the Bristol Wedding Industry were out in force to support her. The Little Wedding Helper is a Bristol based Wedding styling service and Kirsten is an expert at inspiring Brides and transforming a blank canvas such as a marquee or village hall into a spectacular venue. We are delighted to be featuring an article on Wedding style from Kirsten on Bristol Wedding News soon. Kirsten had beautifully decorated the Riverstation with gorgeous touches, such as vintage suitcases, pretty pastel bunting and stunning pink flowers supplied by Emma Norton Wedding Flowers. There was a fantastic ambiance created by "Grammaphone DJs" Shellac Sound who offer a really original service by playing a selection of music from the 20s, 20s and 40s on original 78s. This would be perfect for a vintage themed wedding and would make excellent background music during drinks or dinner. Guests at the launch were spoilt for choice with delicious food with canapes provided by the Riverstation including to die for Pork Belly as well as pretty cupcakes with sparkly icing from Cheeky Cupcakes and absolutely delicious cakes and truffles from Chocolate Delores, who we will be featuring in full next week. Bristol Wedding Photographer Martin Pemberton was also on hand with his camera and set up a fantastic photo booth with a range of great props from tiaras to feather boas, hats and blackboards to write little messages on. This was in huge demand all night and would be a great fun entertainment idea for any Wedding. If you are getting married and need some help with a theme or styling your venues, then we wholeheartedly recommend giving Kirsten a call. She even promises hot chocolate for her consultations and you can't say better than that. Well done Kirsten and the Riverstation for a fantastic evening. 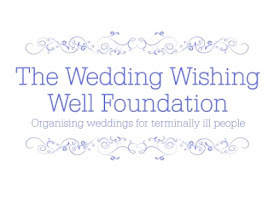 Check out The Little Wedding Helper website here or email Kirsten for more information.